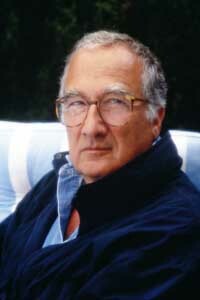 Jules Bass has produced several animated films, including The Hobbit, The Last Unicorn, Rudolph the Red-Nosed Reindeer, Frosty the Snowman, as well as several hit animated television shows such as ThunderCats. Bass' new novel for middle-grade readers from Eltanin Publishing, The Mythomaniacs, takes place in Devon, in the south-west of England, and from there transports the reader into many worlds of fantasy including a quest that leads back to Arthurian times. View the Mythomaniacs page for more information and to read a sample. Jules has also written two children’s books for Barefoot Books: Herb, The Vegetarian Dragon and Cooking With Herb. Herb received a “Pick Of The Lists” from American Bookseller, Lifeworks Magazine’s the “Real Life Award,” IRA-CBC “Children’s Choices Award”, “top-of-the-children’s list” at American Book Sellers Association. The London Times called Herb one of the best books of the season. It was short-listed for the Kate Greenaway Award and praised by Paul McCartney as: “A magical read for all new thinkers, young and old…” Herb made his television debut on The Food Network. Jules’ first adult novel was Headhunters — made into a motion picture starring Selena Gomez. Bass lives in New York City and Garrison, New York.